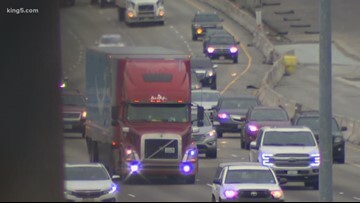 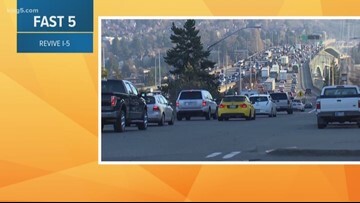 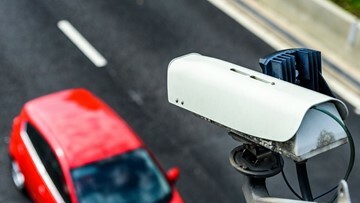 Washington State Patrol Trooper Johnna Batiste gives us a lesson on how to properly execute a zipper merge, regular merge, and lane change. 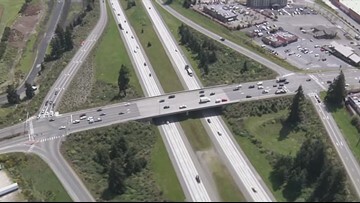 Get ready for the return of Revive I-5. 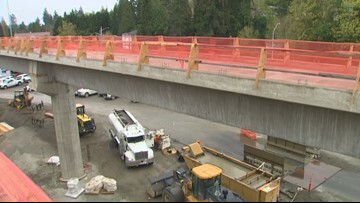 Planned road closures for repaving begin tonight.... if it doesn't get too wet. 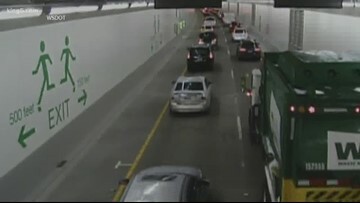 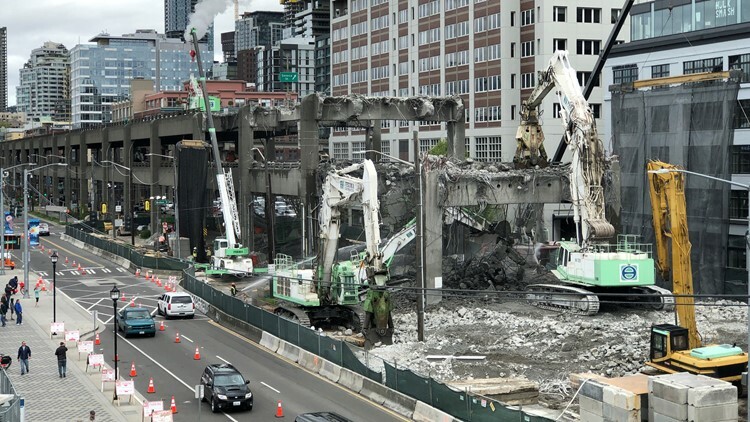 People heading south through Seattle will likely face delays while crews repair and repave the lanes between Spring Street and South Lucile Street. 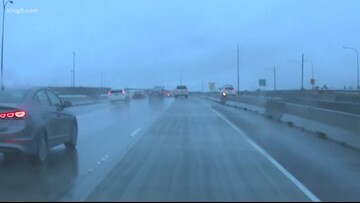 However, the work is weather-dependent. 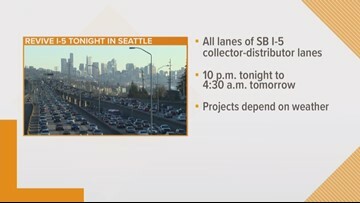 KING 5 Take 5 Fast 5 headlines. 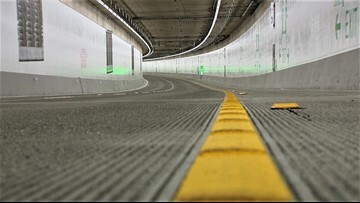 It's a milestone for one of our region's biggest construction projects. 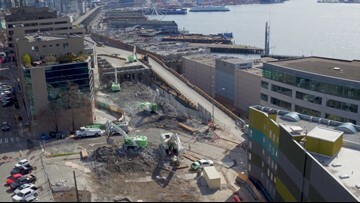 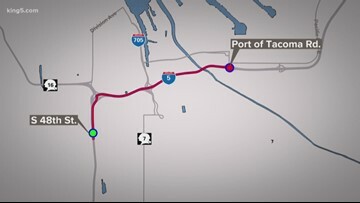 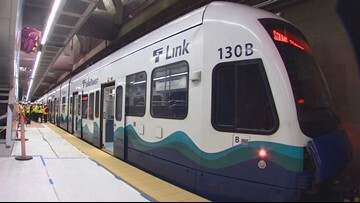 Crews are more than half way finished with the East Link Light Rail. 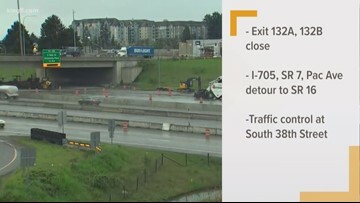 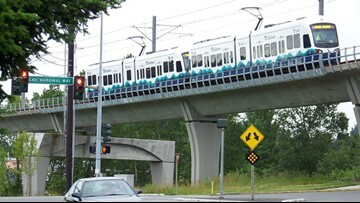 The project extends light rail 14 miles from downtown Seattle to Mercer Island, downtown Bellevue and the Overlake area of Redmond with ten different stations along I-90. 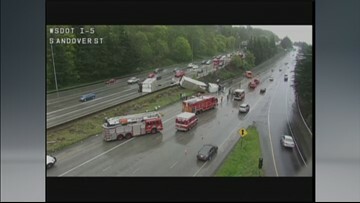 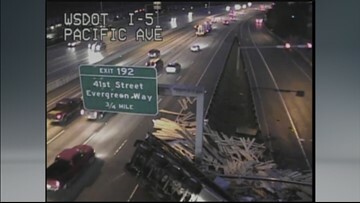 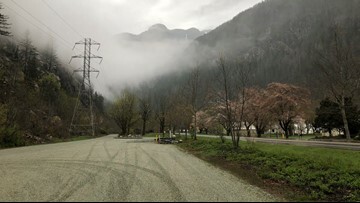 KING 5 takes a look. 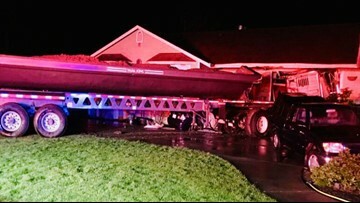 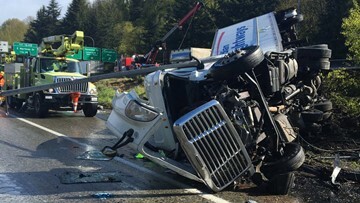 The driver of a pickup truck that caused a crash where a semi-truck ran into a Spanaway home appeared to have been impaired, according to the Pierce County Sheriff's Department. 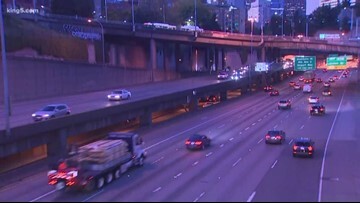 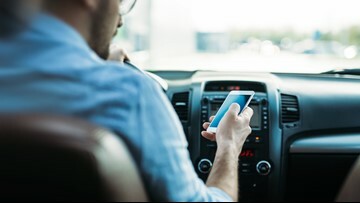 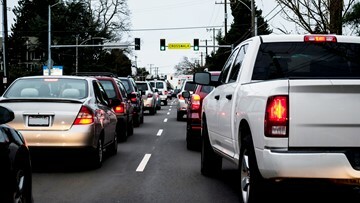 Law enforcement agencies across Washington are looking for drivers breaking the state’s E-DUI law.